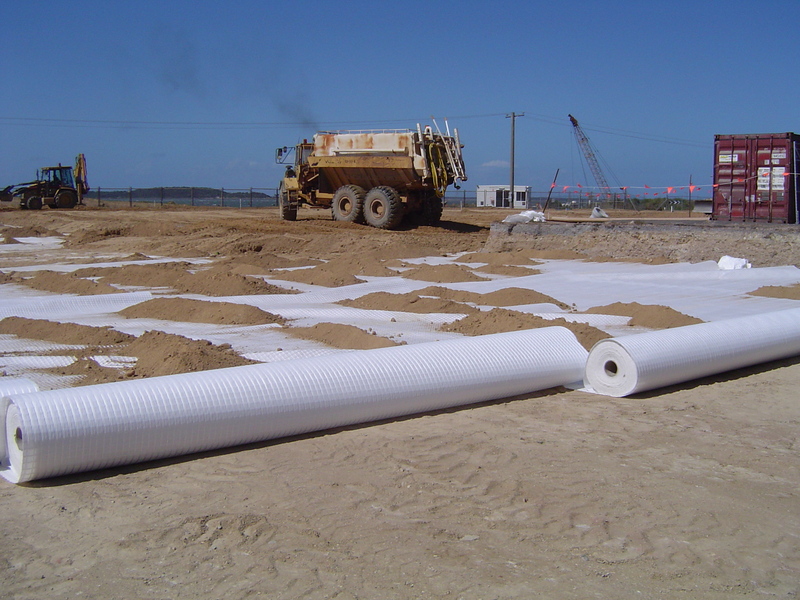 Geogrids are geosynthetic material made from polypropylene, polyethylene or polyester. They are used in several civil engineering related applications to provide ground reinforcement. 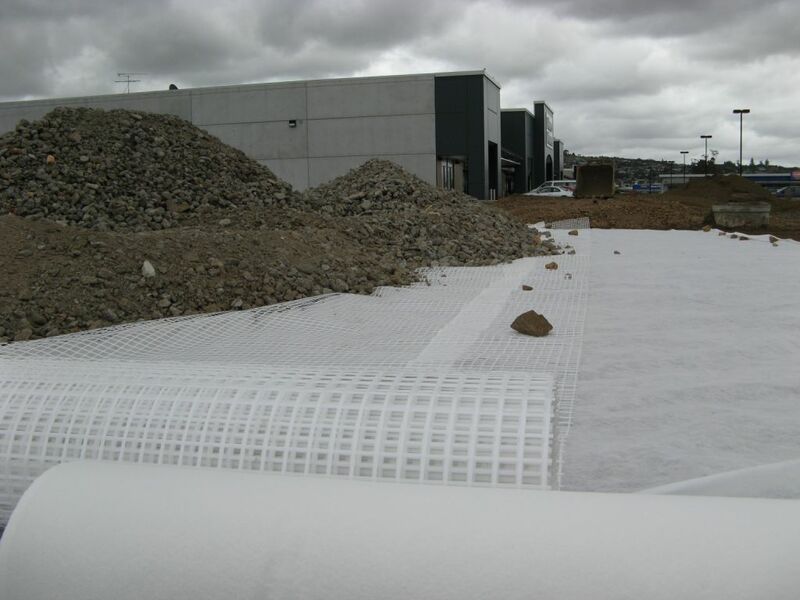 Global Synthetics geogrids are manufactured from the extrusion, weaving or welding of a polymer to form open aperture products of varying strength, strain and load carrying capability for applications of soil reinforcement. Generally geogrids have a primary strength in one direction only (uniaxial geogrids) although in certain applications the strength may be equal in both directions of the product (biaxial geogrids). 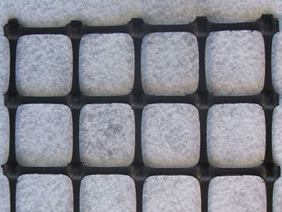 Geogrids work by interlocking with the granular or soil material placed over them. The open apertures of the geogrid allows for confinement of the material within, thereby increasing the shear strength of such materials. In the application of base reinforcement in pavements there is the design intention of improving the bearing capacity of an existing sub-grade by including one or more geogrid layers above. The inclusion of a biaxial geogrid generally permits a reduction in granular base course thickness. 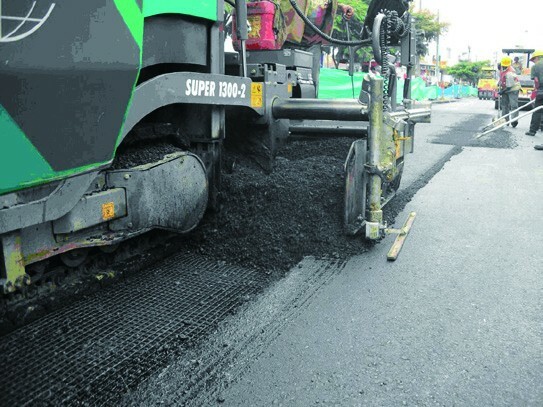 In some situations, there may be a requirement to increase the service life of the pavement by the inclusion of a geogrid for a fixed pavement depth. 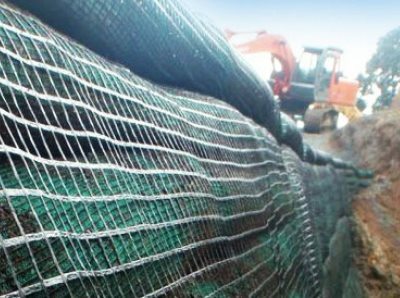 Global Synthetics offer Secugrid® biaxial geogrids in a range of strengths between 20kN/m to 80kN/m and Combigrid® geogrid/geotextile composite in the same strength grades. The ACEGrid® high performance geogrid range, are engineered products for applications of short term and long soil reinforcement. The product is woven with strength in both the roll length direction (commonly called the machine direction-mD) and with strength manufactured in the cross roll direction (commonly called the cross direction-CD). Generally the strength of the product will be dominant in one direction of the roll (normally the mD) with sufficient strength in the other direction of the fabric (normally CD) such that the fibres are dimensionally stable and the roll may be easily deployed.